This is a great list of decision-making skills for your resume. It can get you hired faster, too. There’s a right way and a wrong way to show decision making skills on a resume. Do it wrong, and that dream job will evaporate. Do it right, and you’ll prove yourself. A great decision-making skills list for resumes. How to write you have good decision-making skills in resumes. Why resume bullet points are the best place to prove management resume skills. How to improve decision-making skills to land better jobs. Sample Project Manager Resume - See more templates and create your resume here. Decision making skills definition: The ability to select between two or more alternatives to reach the best outcome in the shortest time. Now, let’s put the definition into practice. Just need decision-making skills for a resume? Get a list of 30+ below. Need decision making examples so your resume stands out? Scroll down below the list. This list shows the types of decision and initiative skills. It also shows decision-related skills like communication and problem-solving skills. Ethical decision making skills. Can you pick from tough choices while upholding ethics? A central skill for healthcare, the financial industry, and more. Consumer decision making process. Understanding how consumers make decisions is key for marketing and sales specialists. Team decision-making skills. Also called group decision making or collaborative decision making. Important in business and managerial jobs. Executive decision making. The opposite of group decision making. Executives must gather input, then make difficult decisions on their own. Consensus decision making skills. This rare team skill finds a solution all members can support. Valued in government and nonprofit jobs. Shared decision-making skills. Similar to team decision making, but generally has a healthcare focus. Medical decision making skills. Crucial for doctors, nurses, and other healthcare professionals. Rational decision making. The rational model of decision-making is a necessary skill in managerial and business jobs. Data driven decision-making skills. Are you adept at data collection and analysis? This is crucial in data-heavy fields like marketing or healthcare. Intuitive decision-making ability. Can you go with your gut to make decisions? Valued in action-oriented fields like the military, firefighting, and police work. Evidence-based decision making. The opposite of intuitive decision-making. Vital in the healthcare field. Programmed decision making. Can you make policies and procedures? Good skill for high-level management jobs. Military decision making process. The US Army uses this distinct seven-step plan to make operational decisions. That takes lots of skills. Those include problem analysis, listening, and information gathering. Check the list below for decision-making skills employers crave. The skills below aren’t decision making skills. But—to make good decisions, you’ll need many of them. Want decision-making skills examples to build your resume? That’s next. Pro Tip: Don’t put all these decision making skills on a resume. Focus on the one or two the job ad really wants. There are tons of decision making skills for your resume. Picking the right one can be hard. Look in the job offer. It’ll tell what skills it needs. As our new Human Resources Manager, you’ll deliver HR and Benefits support for our staff. You’ll handle recruitment, selection, and orientation of new hires. You’ll also facilitate smooth operation of the volunteer program. You’ll track annual evaluations and facilitate decisions about promotions and salary adjustments. You’ll assist with employee relations and ensure compliance with policies—both internal and external. You’ll also set the course for how to handle disciplinary actions. Your choices in this role will deeply impact the company. The hiring manager just said which management resume skills to list. This isn’t team decision making or shared decision making. This job most probably needs rational decision-making skills. But don’t just say you’ve got them. Pro Tip: Need a tip for your decision making styles? According to Jeff Bezos, smart managers make decisions fast. They don’t wait for 100% understanding before they act. There’s no doubt employers crave decision-making skills. How to write decision making skills on a resume? List decision making skills from the job ad. Prove you’ve got those skills. Show how they helped the company. To do that, pack your resume bullet points with achievements. Here are five basic initiative-taking examples. Job ad says: The perfect candidate makes good decisions under pressure. Tasked with making dozens of quick decisions daily. Overall result was a 30% increase in marketing ROI. Commended by upper management 5x for good decision making skills under pressure. Had to decide on short notice how to handle new internet privacy laws. Pivoted to new live video campaign that increased user data collection 25%. Made multiple patient care decisions daily with 95% positive satisfaction scores. Tasked with saving money during a tight time. Made decision to switch to QuickBooks, saving 20% on accounting costs. That’s not lip-service. It’s proof. Jobs in banking, world government, and healthcare value ethical decision making. These decision making skills examples show how to list them on a resume. Job ad says: The right candidate has good ethical decision-making skills. Led team of 14 employees through a 9-step ethical decision-making process at 5 major company turning points. Facilitated facts-gathering for ethical decision-making process during community referendum drive. Resolved differences with community leaders in 3 days. Executive-level jobs and top management jobs have difficult decisions. 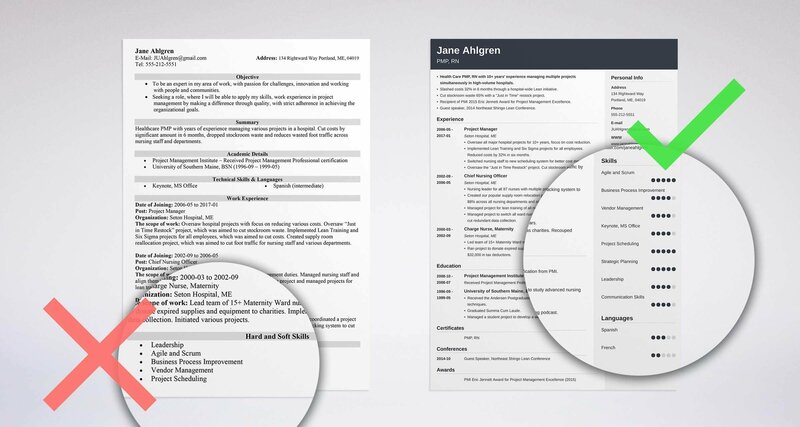 These sample resume bullets offer proof. Job ad says: The right applicant has solid difficult decision-making skills. Faced with a tough decision to promote 1 of 5 great candidates. Chose the one most likely to stay with the company and grow. She became our star performer. Forced to choose between a loyal vendor and a cheaper alternative. Worked with trusted vendor on a compromise, preserving relationship and saving 10%. Do you attack problems and dismantle them? Employers love that. Prove it on your resume with strong examples. Job ad requires someone who can take the initiative and get things done. Created and implemented a new order-taking process that saved 5 employee hours a week. Initiated a job kanban system with Jira that raised team efficiency 35%. Nonprofits and government jobs often need consensus decision making skills. Job ad says: We need someone with strong consensus decision making ability. Used consensus decision-making to make 15 organization-level decisions per year. Achieved 99% buy-in for all major decisions. Cut consensus decision making time by 25% per choice through faster information-gathering process. Rational decision making is a key business skill. Job ad says: Our dream applicant has well-developed rational decision-making skills. Employed 7-step rational decision-making process to pick new graphic design software. Saved $3,000 and team was 99% happy with the choice. Used rational decision making skills to facilitate hiring of new software engineer. Cut 1 week from typical time-to-hire. To prove initiative skills on a resume, show achievements that fit the job. Then, add metrics. Those are numbers like percents, dollars, people trained, or time or money saved. Pro Tip: Do you need multiple resume bullets to describe decision-making skills? Only if the job ad says decisions are the most important requirement. Otherwise, list one or two. You can’t say, “decision making” five times in a resume. Pro Tip: You won’t need decision-making synonyms if you stick to achievements. Achievement and accomplishment make your case without creative language. You can’t even decide if you have them. Decide faster. Author Napoleon Hill studied over 500 millionaires. All shared a key trait—they made decisions quickly. Keep your eyes on the goal. Knowing the goal helps you make decisions fast because it simplifies your choices. Limit options. More choice isn’t always good. Quickly pick the best few options and discard the rest. Research. Dig in to understand the problem. Research the best 3–5 solutions. Seek advice. Consult someone with experience to make choices easier. Hone communication and conflict-management skills. For team decision making, gather input from all stakeholders. Fail small, fail often. Test a few solutions on a small scale. Then put more resources toward the one that works. Pro Tip: Still can’t wrap your head around decision-making skills? 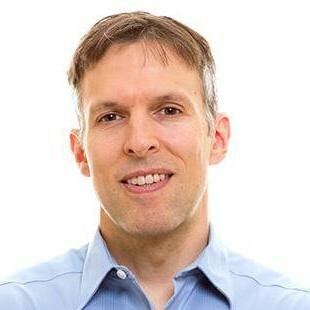 Coursera’s got a popular online decision making class you can complete in five hours. Review the different types of decision making skills. Figure out which one is most important to the job you want. Prove your decision-making skills. Do that by showing how they helped employers in past jobs. Add metrics to shore up your resume skills list. Dollar amounts and percentages prove your decisions pack a punch. Look at good initiative skills examples to see how to word your resume. Do you have questions on how to list decision-making skills on a resume? Not sure how to prove decision making skills? Give us a shout in the comments! We’d be happy to reply.